~Winning team from 53 national champions will live the dream against Barcelona forward’s side at Neymar Jr's Five World Final on July 7-8 in Praia Grande, Brazil. 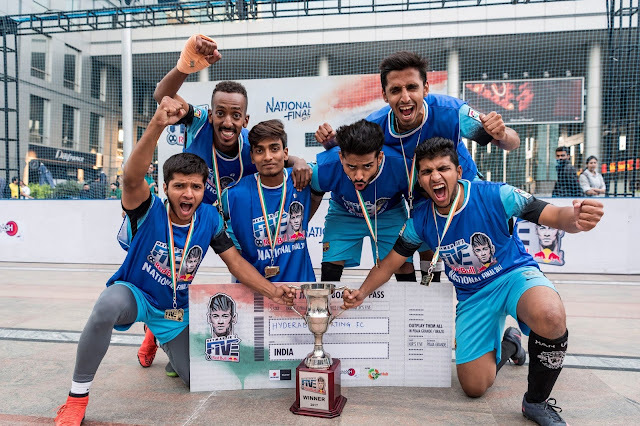 ~ Neymar Jr’s Five National Champions, Hyderabad Sporting FC will travel to Brazil to compete in the World final, and have a chance to meet Neymar Jr.
India, 29th June 2017: Neymar Jr will be back in Praia Grande, Brazil from July 7-8 to crown the new world champions in his signature five-a-side football tournament Neymar Jr’s Five organized by Red Bull – and give the winners the thrill of a lifetime. National champions from 53 countries across six continents will battle it out at the Instituto Projeto Neymar Jr in the World Final. More than 100,000 players have taken part in the second year of the tournament that has become a truly global phenomenon. For the winners, the icing on the cake will be the chance to play against a team led by Neymar Jr in the town where he grew up. Neymar Jr’s Five is authentic football with a twist. There are no goalkeepers and whenever a team scores, the opposition loses a player, which makes the 10-minute matches fast, technical, tactical – and great fun to play. The stage is now set for the World Final, which begins on Friday, July 7 with a group stage featuring the 53 national champions. 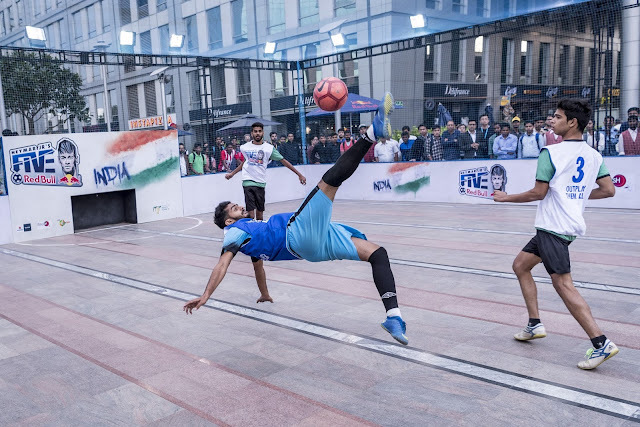 The best 32 will make it through to the knockout stages on Saturday July 8, with a series of matches whittling the teams down to two teams, who battle it out in the final match. The 100,000-plus players who have featured in the second edition of the competition is a sharp increase from the 65,000 who played in the first year. For Neymar Jr, the highlight of the competition has been seeing so many people from so many different backgrounds playing the game around the world on every imaginable surface, in all weathers, and with a unique sense of fun. 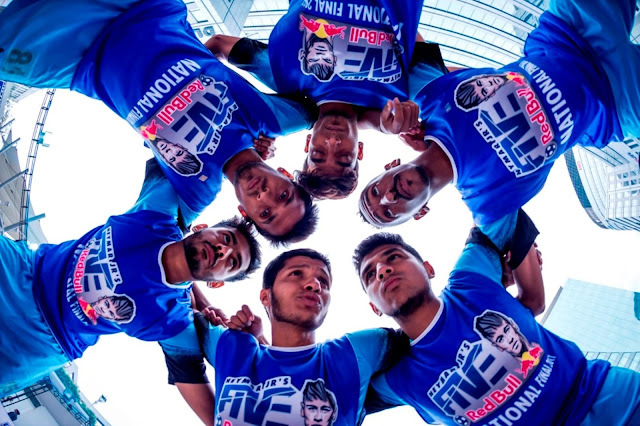 The teams will be dreaming of following in the footsteps of Anjos da Bola (Angels of the Ball) – the Brazilian team who sealed victory in the final of the first edition in 2016. They were not only rewarded with a game against Neymar Jr and friends, but with a trip to see FC Barcelona in action in the Camp Nou and time alongside their hero at the Catalan club’s training ground. The location of the World Final, The Instituto Projeto Neymar Jr, is a private, non-profit association dedicated to social causes, set up by the player and his family. Located in Jardim Glória, in Praia Grande, where Neymar spent much of his childhood, the Institute is an 8,400m2 education and sporting complex catering for 2,470 underprivileged children aged 7-14 and their families.